You are here: Home \ Community \ Featured Posts \ Uncategorized \ Mo’ Money, Mo’ Problems? Teen employment is gradually becoming a common hobby that balances the busy schedules of work and school. But as more students begin working for the sole purpose of independence and having a personal income, some students are not able to work at all. Having a job is not only time consuming, but also requires attention and focus, no matter what job is at hand. Some students have come to find that obtaining a job, whether it be part time or full time, is impossible due to events that already occur in their regular schedules. Mina Shiekh (‘19) juggles holding a job as a busgirl at a pizza restaurant, partaking in cheer, and maintaining a steady education. “Working at a fast paced job helps with time management and learning how to multitask,” she says. Applying her dedication to any activity she is part of, Mina manages to keep her hectic schedule under control. “The days I don’t have cheer practice or school, I work as much as possible,” Mina says. Since restaurants filter people in and out throughout the day, Mina is mastering the skills of customer service. 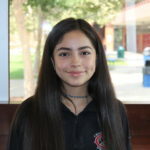 Grace Ramirez (‘20) shares her experience in working as a coach at Planet Gymnastics and how she keeps a balance of work and education. With experience in gymnastics for several years, Grace acquired her coaching job through past connections. Grace’s biggest obstacle in keeping a job and going to school is managing her time for homework and studying. Although there are some difficulties in having a job, Grace explains the benefits of working at a young age. Unlike some students, Laney Prichard’s (‘20) inability to work is due to her preoccupation with her commitment to basketball. If given the opportunity to work, Laney says she would want to work at a place like Starbucks or Dutch Bros. Dealing with schoolwork and a sport requiring ultimate dedication, Laney proactively balances her schedule. When it comes to paying for her expenses, Laney is smart about managing her finances. Having a job can be both advantageous and disadvantageous depending on the extracurricular activities one has occurring already. Having an income is beneficial and can teach one about independence. Having dedication towards a certain sport can be ambitious for pursuing goals. Whether working or not, time management for steady hobbies is essential and our CB students manage to make things work.